For those of you that have been following me, you know I was “busted” a few weeks ago. Himself found my stash. It took a few weeks of recovery around here for the shock of the stash to settle. Not only did it settle, but a new stash solution has been designed. Out of the small cabinet that was under the window seat and into the guest bedroom closet. I now have cubby’s and baskets to hold yarn. More baskets to hold needles and accessory items. For the first time everything is in one place and easy to get to! How could this happen? A few measurements and a trip to Target. 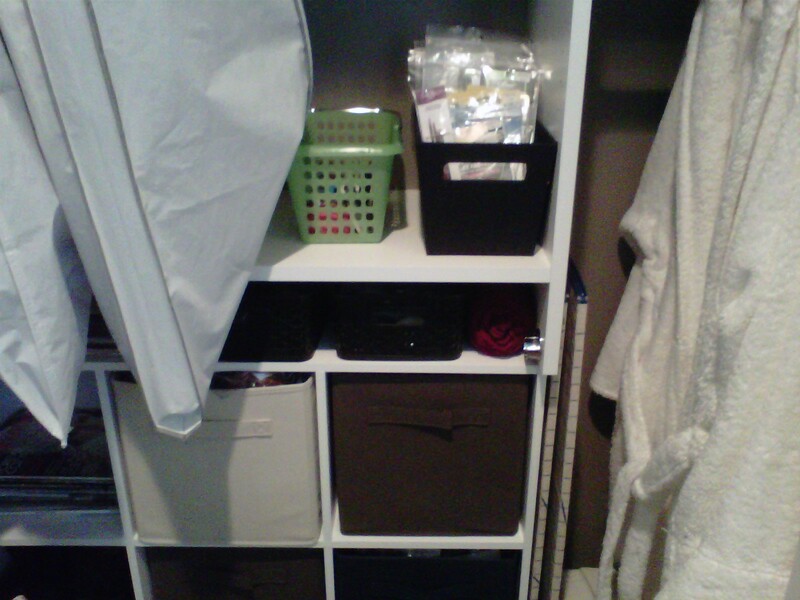 The shelving is Closetmaid including the matching baskets. Of course, some assembly was required. And……. just to get access back to his sound system, himself assembled it for me! 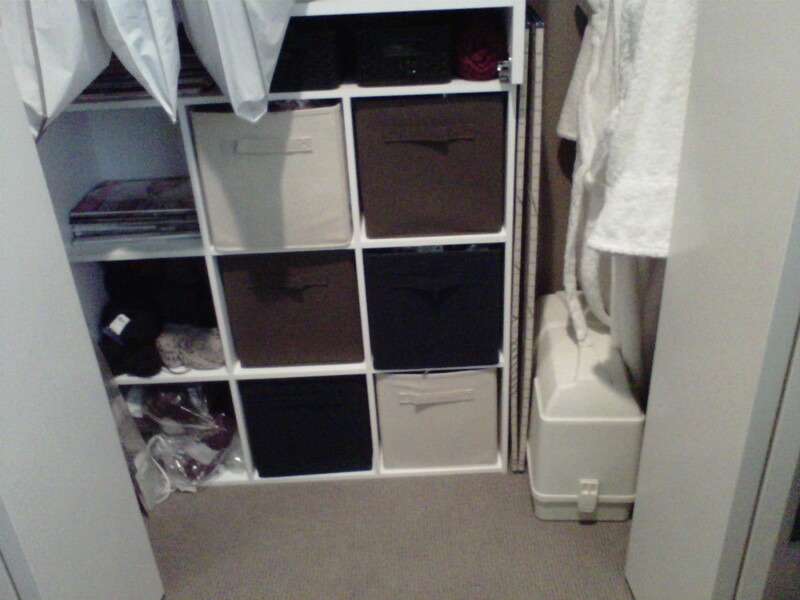 Another plus, the guest bedroom closet got a full clean-up in the process. 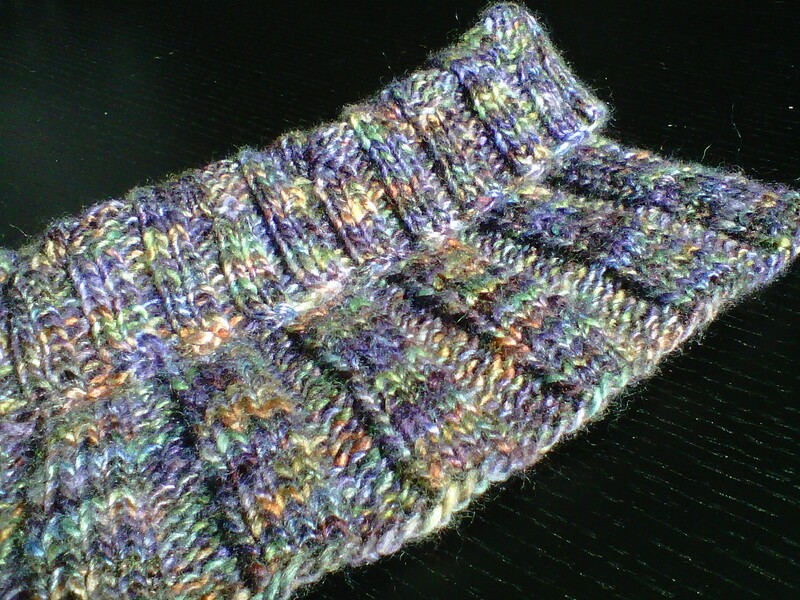 It is a very simple, fun knit. One of those one skein wonders, in Berroco Boboli. It started as gift for a friend, then my dear friend’s at Churchmouse’s Thursday Knit Nite started asking for the pattern notes. It became very popular around the table, multiples being knitted by some. I thought it was time share it with you all as well and officially write a pattern. So pull some fun yarn “out of your closet” and knit up a little Melted Crayon’s in honor of our stash.